Michel Ancel Outlines Creative Philosophy and Acknowledges That Rayman Legends "Is a Risk"
"At Ubisoft the boss wants us to take risks, experience new visuals, music"
Both Rayman Origins and the new Rayman Legends are games that somewhat stand-out, in the wider gaming industry and as parts of Ubisoft's library. Games packed with colour and slapdash platforming fun are, to generalise a little, typically reserved for Nintendo titles and Indie games, where the philosophy or budgetary requirements often lead development teams away from gritty, mature experiences. 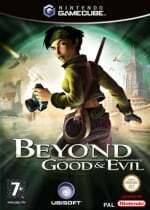 In the case of these two latest Rayman games, that's ultimately down to the head of the games' studio, Michel Ancel, an iconic figure not just loved for creating the limbless hero but also the classic Beyond Good & Evil. In an extensive profile and interview with Eurogamer, Ancel acknowledged the extent to which Legends stands out in the current gaming landscape — particularly multi-platform — and admitted that, stylistically, it's perhaps a risk for the publisher. The Ubisoft boss is happy that we're doing something different. Ubisoft's DNA is really connected to the roots of video games, of iconic characters. It's very interesting during meetings with the boss that there is nostalgia for this type of game. Legends is a risk. When you look at people's everyday lives they're used to eating the same thing - burger, pizza, some other dish. But they're not used to trying new things. Video games are a bit like this. People only play so much, they want to play with others and play the same thing as others. I don't see this as good or bad - it is the tradition, and we're continuing a tradition too. With Rayman we're taking a risk, but at Ubisoft the boss wants us to take risks, experience new visuals, music and gameplay. That's why we began on Wii U, because it was an area of experimentation. 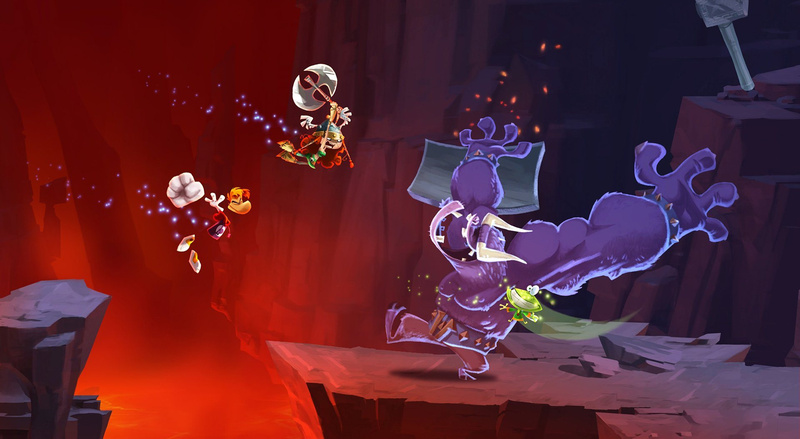 Not for the first time, Ancel also explained that the "protest" images for Rayman Legends were an innocent — on his part — mistake, in that he wasn't trying to make a gesture to his employers. That morning I arrived at 10, I think because of some party [the night before]. There were two fans like this," he pauses, miming holding the infamous 'Save Rayman' placard. "They said, 'hey Michel! Come take a picture with us!'" The photos quickly appeared online and raised eyebrows within Ubisoft itself - the initial reaction being that he and his studio were the ones protesting the company's decision. Below is the full excerpt. I felt a bit like it was a trap, which is why in the picture I'm like, 'hmm... what is this?'" He mimics his puzzled face in the photo. "I was wondering if they would use the photo privately, and it turns out no, they released it in public." He sighs. "It was like... they were nice people but I wondered if they just wanted to be famous. That's why I wasn't like 'fight! fight! fight!'" Ancel mimes shaking his fist. "We weren't used to that, that's the first time anyone has turned up here." A second photo was taken with Ancel's co-workers, but it wasn't until after the visitors had left that anyone in the studio asked if they'd been told to keep the pictures private. "After they left we realised 'have we asked them not to put the picture on Facebook?'" Emile chuckles. "And we were like, 'um, no'." "It was all for fun," Ancel concludes. "It wasn't like, 'This is a revolution, man! This is video games! This is very important!'" It definitely wasn't him staging his own defiant protest. "No," he tells me, smiling. "No. But it was a lot of fun." When touring the studio, which is a converted villa in France, the UbiArt engine development tool was shown, which appears to allow level design with simple, intuitive processes. That was clearly a big part of Legends coming together, and reflects a wider Ancel philosophy that technology and tools should facilitate creativity. The key is the tools you make and the connections you keep within the team. That's one of the reasons we wanted to stop work on Beyond Good and Evil 2 and work on a smaller game. It was to experience this philosophy, to make games in an easier way. Working on a game like that - it's the kind of game where you really need these kind of tools and this philosophy. And we want to continue, by making surprising tools that help make a big game. It's about giving people the ability to create something just with their own energy. The tools we design are here to make everything more fluid. When a graphical artist has an idea he is able to create this by himself and show it to others - not just with a picture, but with a playable prototype. We certainly recommend reading the full article, which gives notable insight into the studio and Ancel's ideas on game development. Let us know your thoughts on Ancel's comments below. "At Ubisoft the boss wants us to take risks"
Risks like announcing a 6 month postponement 1 week before it's due to be released? Oh, and the exclusive is now going multiplat? Gotta admit, can't get much riskier than that. The part where Ancel is talking about gaming "risk" seems much more relatable to W101 than Legends. This is Rayman, how much of a risk is that? Well, it's out now, and after having played it for a bit, I hope people won't be to stubborn to 'forgive' the delays and going multiplatform, because they'd be missing out big time! And bad Wii U sales is never a good thing, but in this case it's bad for gamers AND Michel Ancel, AND the chances of ever seeing Beyond Good & Evil 2 on Wii U. And the chances of another great Rayman in the future. I too was disappointed by the big delay and its reason, but I hope many will see that it's still a must have, and at its best on Wii U. The pictures were a nice thing to look at, and with our without them, I wouldn't lose faith in the man behind Rayman and BG&E. Cant wait to pick up Legends. Ancel serms like a cool, down to earth kinda guy. Gaming needs more Ancels! As for you complaining about the delay blah blah, have a coke, a smile, and let it go. Just too many big games I am looking forward to... I wasn't crazy about the demo or the challenges app... I'll wait until a sale or when there is a lull in the release schedule. @rjejr I agree. I'm really not too salty about them going multiplatform (although pushing it back at the last second was unfortunate) and it still looks like an amazing game. However, I don't see Rayman as a risky franchise. That's like saying Mario Kart is risky. And releasing multiplatform after stating that you will develop it for Wii U only is not risky, it's safe. 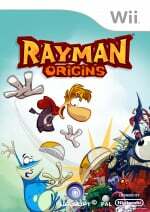 So I guess a Rayman game as a Nintendo exclusive was too risky even by Ubisoft's standards. So releasing a yearly Assassin's Creed, Just Dance, and Rabbids game is a risk? Yes, you run the risk of pulling a Guitar Hero. I really doubt that Ubisoft is about risks - Assassins Creed 1, 2, 2.3, 2.6, 3 and 4 doesnt really seem to point in that direction. Adding to that the fact that they announced they will only focus on stuff that can become big franchises - that is, satiate the mindless masses for a quick buck, and I'm not sure I like Ubisoft anymore. I want this game. I don´t know why Ubisoft is so unsure with it. The app challenge is great. Why does they have doubts about its game? ZombiU wasn't even a risk. They just didn't do as well as many expected with that game. Lots of people looking at the Wii U before release were relatively interested in ZombiU from what I saw. ZombiU and RedSteel were pretty good games on day one, but most that were interested ended up never buying the game. Especially with Nintendo's Wii and Wii U, launch titles tend to be a work in progress in control options alone, but they still hold some value if you give them a chance. Rayman isn't a risk. Rayman is the most well known game they have besides Just Dance which wasn't known at all until last gen. If Rayman is a risk, then these really must be bleak times. Looking back, RedSteel and ZombiU are the most creative games they've made in years, IMO, that still have the violent factor people want. It's a shame Assassin's Creed is as popular as it is. I feel like Ubisoft could be creating much more fantastical games like Rayman in full 3D instead of historically accurate kill games. The developers are cool but I don't trust the big wig publisher. 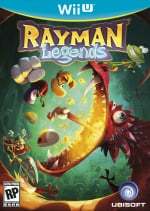 Why are people saying Rayman isn't a risk? Origins was well reported as a disappointment. Search for articles on its performance. They are all about how it actually made some money. In other words, it wasn't quite as bad a disaster as at first thought. Making a sequel to something like that exclusive to a console with a horribly disappointing launch and you can't say it wasn't a risk. Any expensive non-indie title that isn't a well-established series of games seems to be a risk nowadays. Anyway, I liked Origins and I'm very much looking forward to Legends as it looks better in every way. Too bad about the delay, but seriously, it's going to help the "second launch" that Nintendo is appears to be attempting this Holiday. Too bad there's a bit more competition this time. Rayman Legends would have done better as a launch title.. instead they went with Zombie U.. it is Ubi's fault it went multi plat.. not Nintendo's or their fans.. who like Rayman... that being said as to seeing that Ubi delivered the goods on Splinter Cell for the most part.. I want Ubi to do well..